In 2018, Ukraine exported almost 42 million tonnes of grains to the tune of more than $7 billion, which in monetary terms was the highest value in the history of Ukraine. "Since 2010, Ukraine has been increasing its grain exports annually. 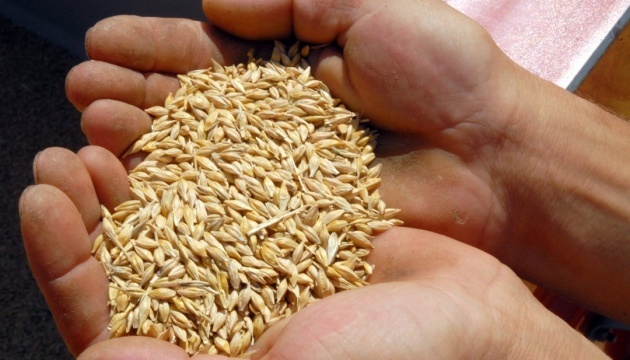 Although a new record was not set in 2018, 41.7 million tonnes of domestic grains were exported to foreign markets," the National Scientific Center "Institute of Agrarian Economics" reports. The overall increase in Ukrainian grain exports in monetary terms led to its highest value in the history of Ukraine - $7.2 billion. This happened, primarily, due to the export prices growth, the IAE experts noted. A new record in corn exports was set - 21.4 million tonnes. The largest buyers of Ukrainian grains in 2018, as before, were the countries of Asia, Europe, and Africa. Egypt has traditionally topped the rating of the largest importers of Ukrainian grains since 2011. Last year, the country bought Ukrainian grains 20% less than in 2017 – to the tune of $666 million. Egypt’s share in the total exports of this type of agricultural products was 9.2%. The other top importers of Ukrainian grains were: Spain ($ 643 million), the Netherlands ($ 556 million), China ($552 million), Indonesia ($487 million), Saudi Arabia ($449 million), Italy ($336 million), the Philippines ( $316 million), Tunisia ($290 million), Morocco ($263 million) and Libya ($248 million).